Lizabeth Bonilla has been working in home care for the past 42 years. She currently earns $10 an hour and is forced to rely on public assistance to keep a roof over the head of her daughter, two grandchildren and disabled roommate. On July 13, Lizabeth was in Washington, D.C., for the White House Conference on Aging. There she participated in a #Take15For15 moment to share her story about why she’s fighting for fair wages, benefits, and the hours she deserves. It’s a moving portrait and one we need to share. 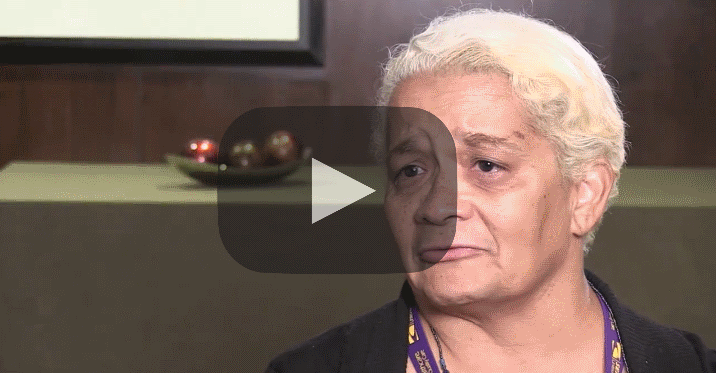 Lizabeth Bonilla has been working in home care for the past 42 years and only earns $10 an hour. This is her story and why she's in the #FightFor15.